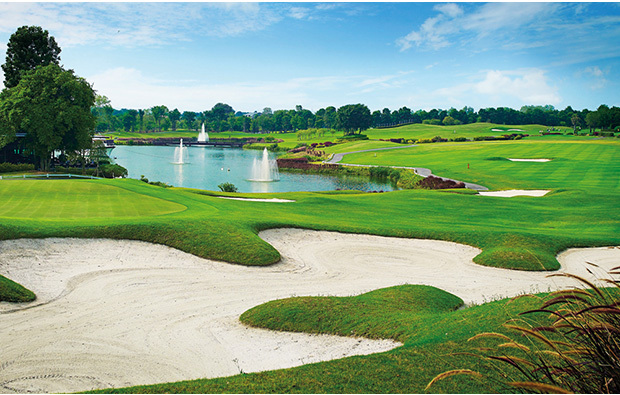 We will pick you up from the airport, hotel or other Bangkok location to take you on your Half Day Golf Course Package. Following an early Tee-off, you will have the full attention of the Golf Pro and a whole half-day on an outstanding golf course in Thailand to improve your game and pick up some invaluable tips and techniques. All arrangements will be made in advance to ensure you got the Golf School break in Thailand that suits you best. As well as a range of options for golf lessons, Pros and destinations, Orbit Tours Thailand can provide lots of other great adventures while you’re here. Be sure to let us know if you have non-golfers in your party or would like to fit in other activities during your stay. This is a golf holiday package that comes with flexibility to make it the way you want it to be.